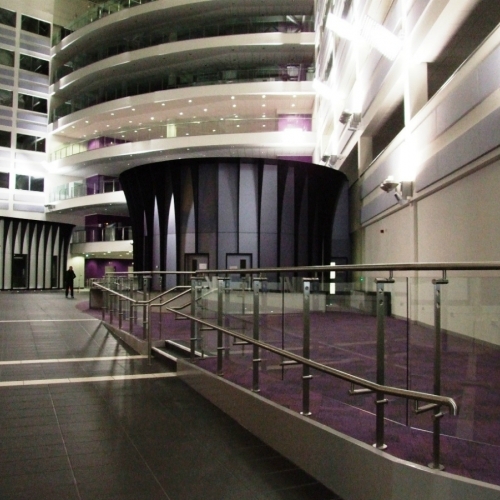 Contract Package: Supply and Installation of Feature Administration and Hair & Nails Pods within the Main Entrance Atrium of the College. 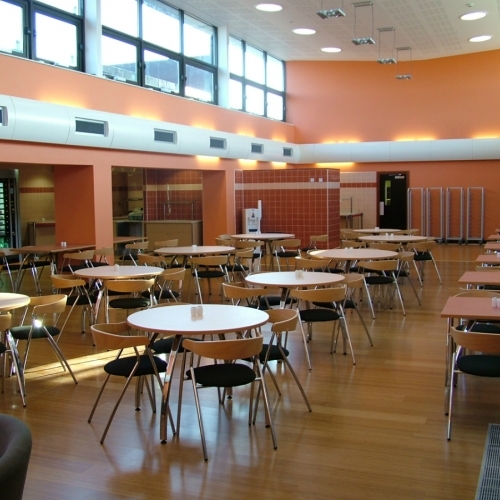 The contract involved turning the Architects concept drawings into a working design. 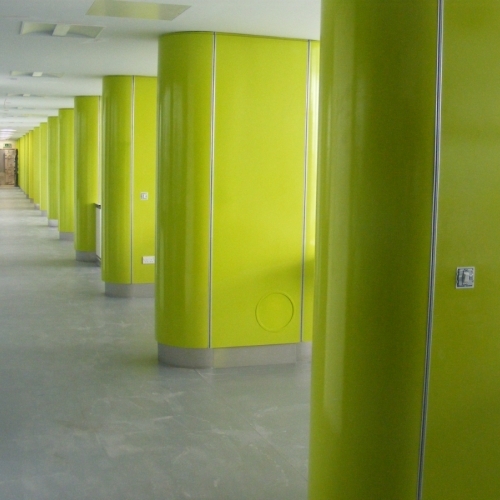 The Pods have been constructed from a Steel Frame System (SFS) covered with layers of Plywood, Plasterboard and finally finished with secret fixed Trespa Cladding Panels. 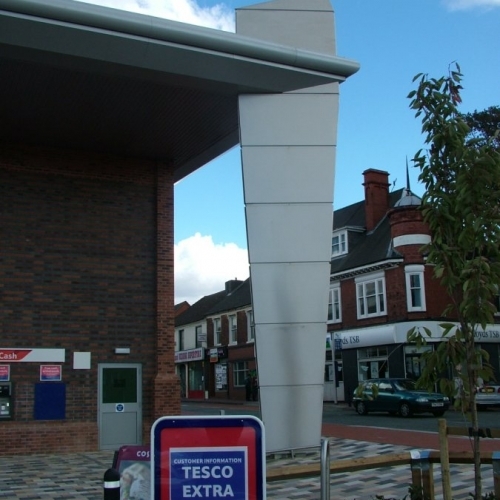 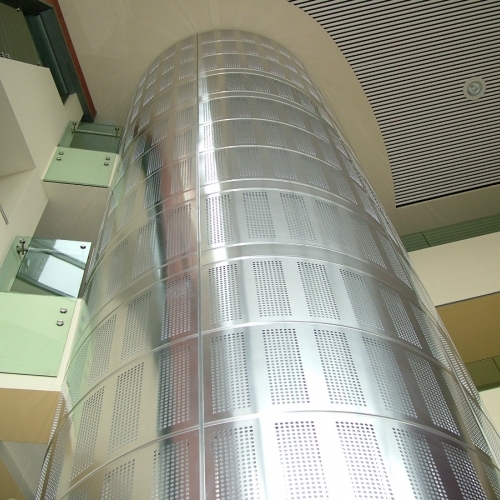 The vertical curved fins and parapet cappings have also been manufactured from Trespa. 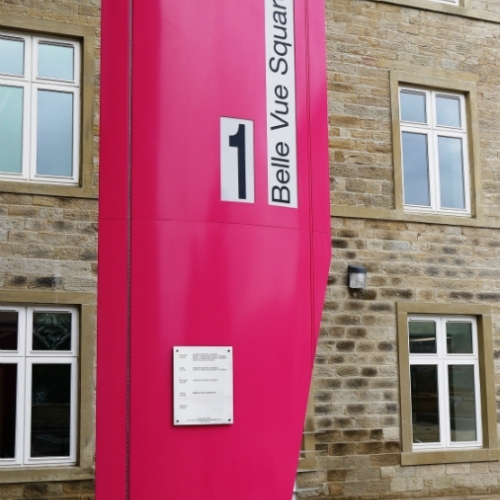 All the bespoke ancillary brackets and trims are made from Polyester Powder Coated Aluminium. 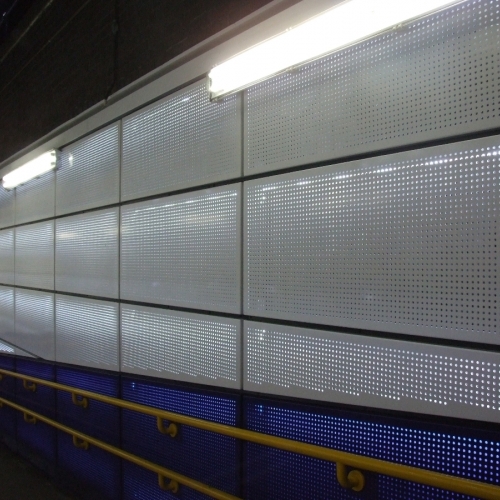 Contract Package: Supply and Installation of Perforated Polyester Powder Coated Aluminium Cassette Panels complete wit LED Back Lighting. 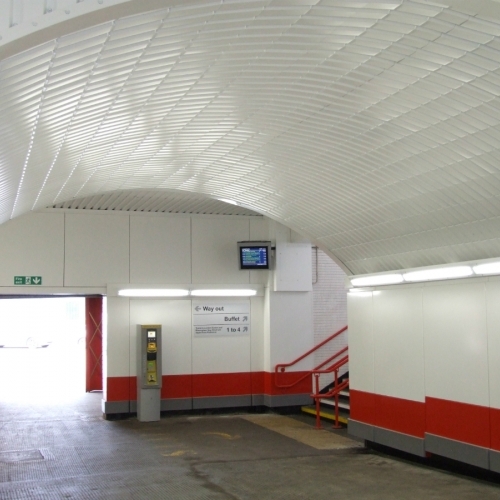 Cladding Panels can be removed to allow for regular inspection of the subway structure behind. 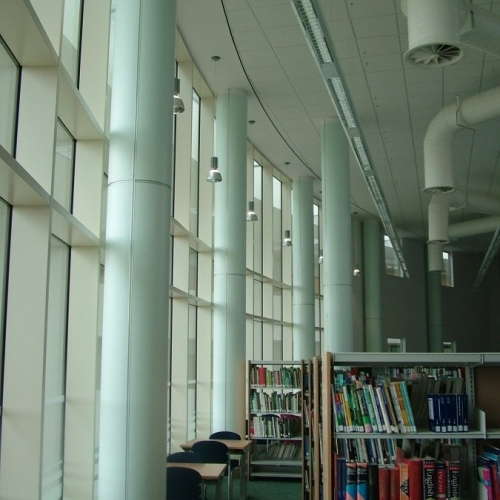 Contract Package: Supply and Installation of Hook On Polyester Powder Coated Aluminium Cassette Panels & Profiled Aluminium Ceiling Cladding. 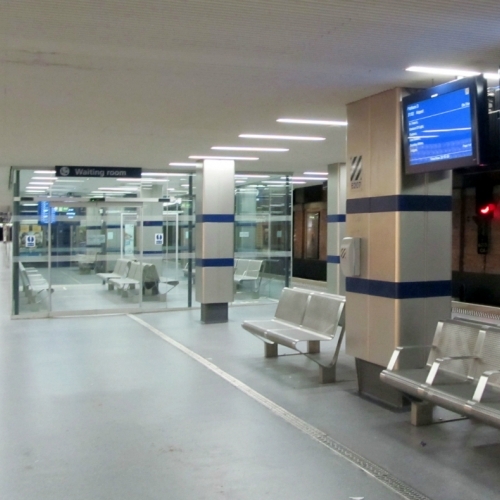 An interesting feature of this contract is the requirement for the Cladding Panels to be Demountable to allow for regular inspection of the subway structure behind. 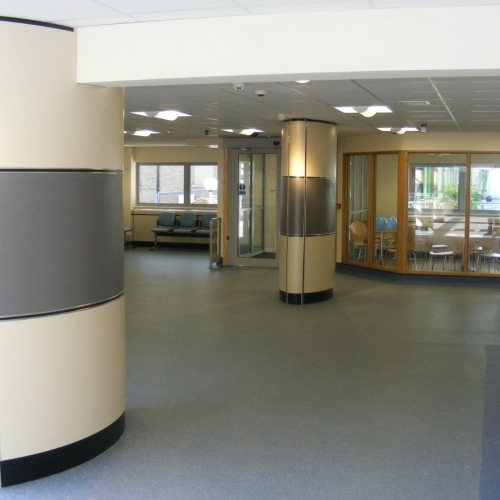 Contract Package: Design and Build Package to refurbish, and enclose existing waiting room with glazed curtain walling incorporating automatic sliding doors. 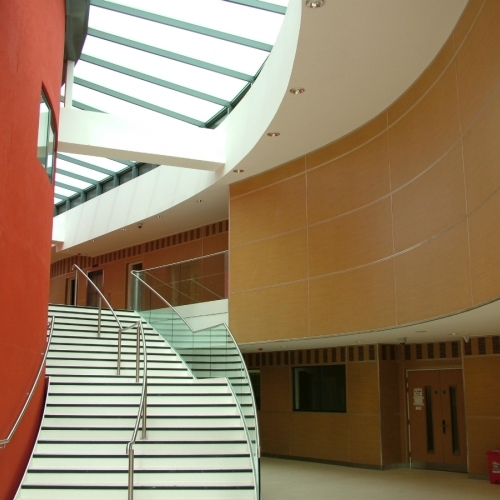 Internal finishes complete with M & E package. 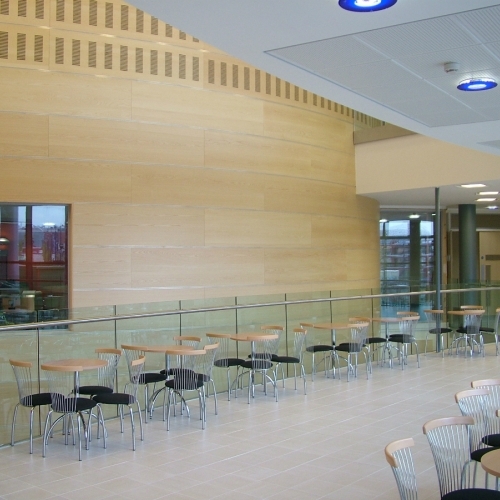 Contract Package: Supply and Installation of Hook On Polyester Powder Coated Aluminium Cladding Panels & Profiled Aluminium Ceiling sheeting. 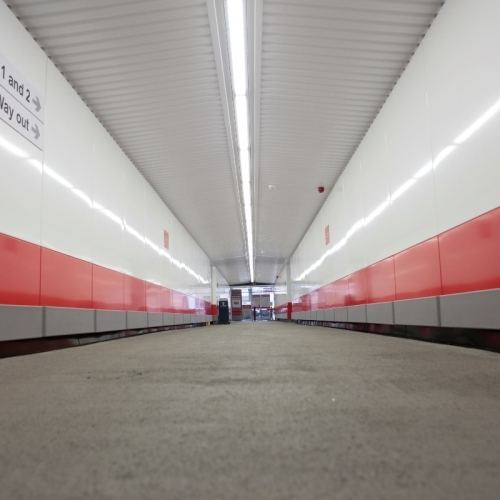 An interesting feature of this contract is the requirement for the Cladding Panels to be Demountable to allow for regular inspection of the subway structure behind. 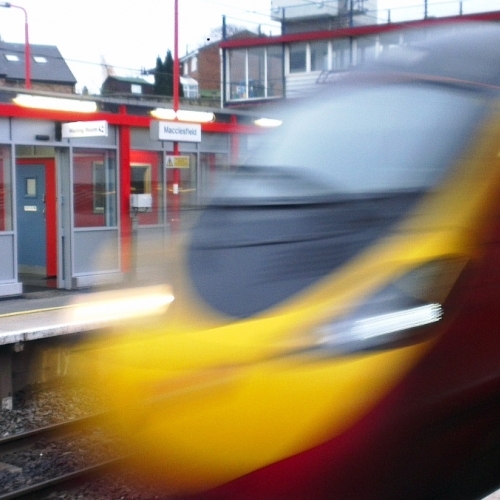 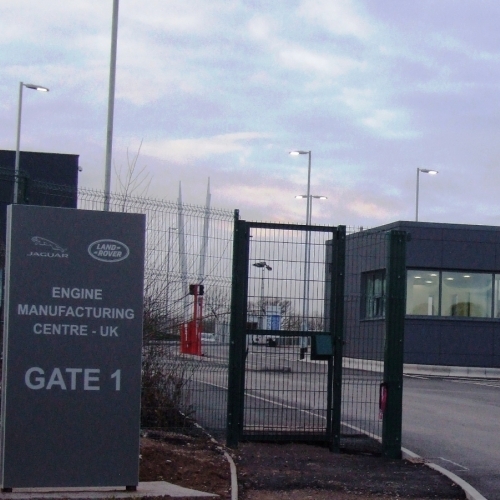 Contract Package: Design & Build complete gate house including; SFS (Steel Frame System), Rain Screen Cladding, Glazing, Internal fit out package, and All essential ancillary items including Aluminium Polyester Powder Coated Trims, Flashings & Rainwater Goods.